Fading in with a mournful horn and organ drone which sounds like an incidental piece from a Jodorowsky film, LP4's opening track, 'Blair' explodes into a crunching hip hop beat, making room for ebullient trumpets and a mournful cello interlude. It all wraps up with a sample of dialogue from a Werner Herzog film. Such scatter-brained eclecticism abounds on this fourth album from Brooklyn duo Evan Mast and Mike Stroud. While second track 'Drugs' takes Daft Punk on at their own electro funk-meets-prog guitar game, Ratatat have actually been ploughing this particular furrow longer then the Gallic robo-posers and most other dance acts of note. Elsewhere, on 'Mandy' they produce a slice of scintillating analogue synthpop, easily bettering anything Air have produced since Moon Safari. 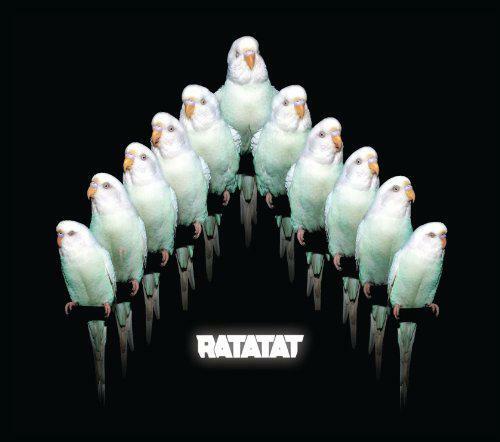 Ratatat are also comfortable outside the dance template. We get swooping, orchestral melodrama on 'We Can't Be Stopped', a sci-fi reinvention of Fleetwood Mac's 'Albatross' on 'Mahalo' and Russian folk stomping on 'Bare Feast'. The variety of sounds is impressive, but sadly much of its sparkle is lessened by the horribly strident, classic rock guitar which Stroud insists on layering over many of the tracks. Coupled with Cuban rhythms on the likes of 'Bob Ghandi' and 'Party with Children' this has the unfortunate effect of making Ratatat sound like god-awful fusion rocker Carlos Santana. Elsewhere, it merely spoils otherwise pretty tunes like the piano-led 'Sunblocks'. This is a real shame since LP4 is a record full of sonic invention. However, not only is Stroud's guitar playing unappealingly naff and cheesy, sounding as if they got Brian May to jam carelessly over several tracks, it's also way too high in the mix to ignore. Ultimately, this means LP4 is more of a curate's egg than a musical triumph.